The next generation SX4 is due to arrive next year and we'll get an idea of what it will look like at the Paris Motor Show when Suzuki shows its new S-Cross Concept, which will eventually become the SX4. 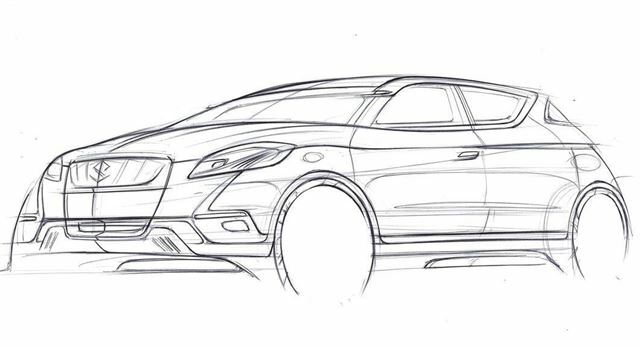 While we only have a sketch at the moment we do know that the new SX4 will be a bigger car than before with more of a crossover look. The new SX4 will get increased ground clearance, extra body cladding to add to the 'crossover' appearance plus it will come with either two or four-wheel drive. Inside there should be improvements in interior quality and better refinement too, plus there will be room for five adults with MPV levels of headroom. Boot space is expected to be around 400 litres which makes it a good family car. As with the current SX4 there's a tie-up with Fiat but the Italian brand is changing the name, dropping Sedici and instead rebranding it as the 500X to maxmise the popularity of the 500 brand. There are no engine details for the SX4 at the moment but it could use the same 1.4-litre TwinAir petrol that's expected to power the 500X along with the 2.0 DDiS from the current SX4.